At Eurocom, laptop upgradeability is king, and now we are launching another hi-resolution display option for the EUROCOM M4 13.3” high performance monster. Now customers have the option between three hi-res displays starting with the 3200x1800 Quad-HD+ masterpiece, the 1920x1080 Full-HD gem and now the 2560x1440 tour de force with a whopping 1000: 1 contrast ratio. Customers can choose the exact display that suits their needs and budget. “The three display options coupled with the high performance components of the EUROCOM M4 make it a very desirable product for users who require a high performance laptop that is very thin, light and mobile” Mark Bialic, Eurocom President. A great computing experience is all about great visuals, the M4 does not disappoint with a choice between three beautiful 13.3” 3200x1800 QHD+, 2560x1440 Quad HD matte and 1920x1080 Full HD matte displays powered by powerful NVIDIA GeForce GTX 860M graphics. The staggering 3.6 million pixels (3,686,400) provide unreal sharpness and clarity, while the 1000: 1 contrast ratio of the new 2560x1440 display contributes to deliver a crisp, stunning image. 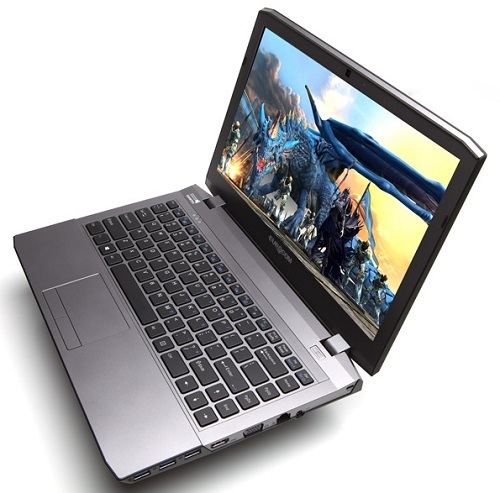 The EUROCOM M4 offers shocking performance, buttery smooth frame rates, long battery life and ultra-portability. A perfect fit for those who want to conquer today’s mobile world. Performance comes by way of NVIDIA GeForce GTX 860M graphics and optional Intel Core i7 processors up to i7-4940MX Extreme, up to 16 GB DD3-1600 memory and up to 3.5 TB storage with 2 mSATA SSDs and one 9.5 mm storage drive bay.